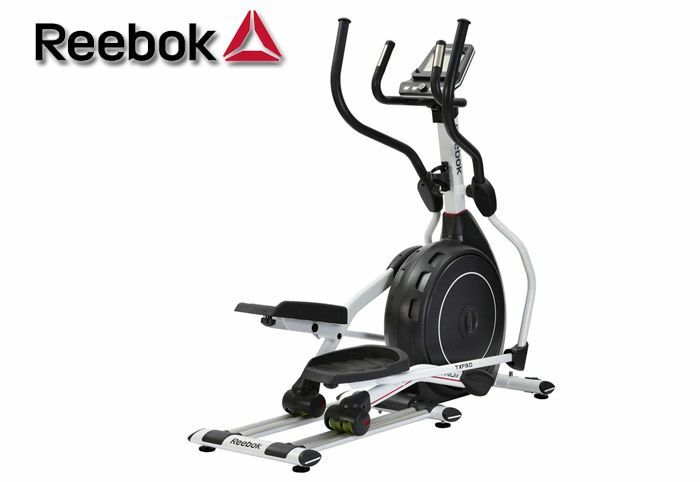 Designed for more advanced cardio workouts, the Reebok SL8.0 AC bridges the gap between gym and home exercise. Compared to traditional DC treadmills the SL8.0’s 4HP AC motor is more powerful and reliable; allowing you to increase the intensity and duration of your training. Featuring a 10.1” touchscreen display, the InterAct Console provides in-depth feedback and programmes for total performance. The internet enabled system also features apps such as Netflix, Facebook and YouTube; with 5W speakers to play your music and videos aloud. Compatible with the Reebok Fitness App, you’re able to tailor and track your workouts whilst virtually running real-life routes. The console is also equipped with a Real View Sport function offering 3 scenic settings in simulated reality. With built-in SubLite technology, the deck reduces strain on the joints by cushioning the impact of each stride. The unique orthopaedic running belt is made from dense, grippy material; combing to offer total comfort and stability for an optimal running platform. Warranted for light commercial use, this Lite Commercial Treadmill is perfect for club houses, fire stations, hotels , corporate gyms and personal trainer studio. Entertainment apps – YouTube, Netflix etc. 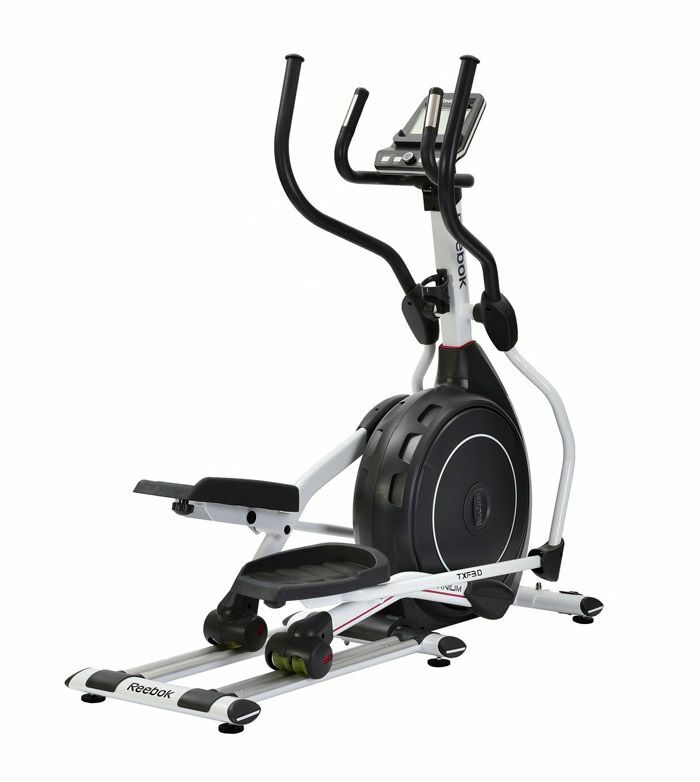 The top of the line Reebok Titanium Series TXF3.0 Crosstrainer has a front drive mechanism with two independent motion rollers resulting in a smoother, more challenging workout than a traditional rear drive machine. The TXF3.0 continues to deliver one of the best total body workouts as it targets both the upper and lower body simultaneously while working all the essential muscles that contribute to core stabilisation. The low impact nature of the TX3.0 + Bluetooth makes it ideal for those users with sensitive joints as the trainer comfortably supports the legs throughout the increased 19.5” stride length of exercise while giving a more serious cardio workout. 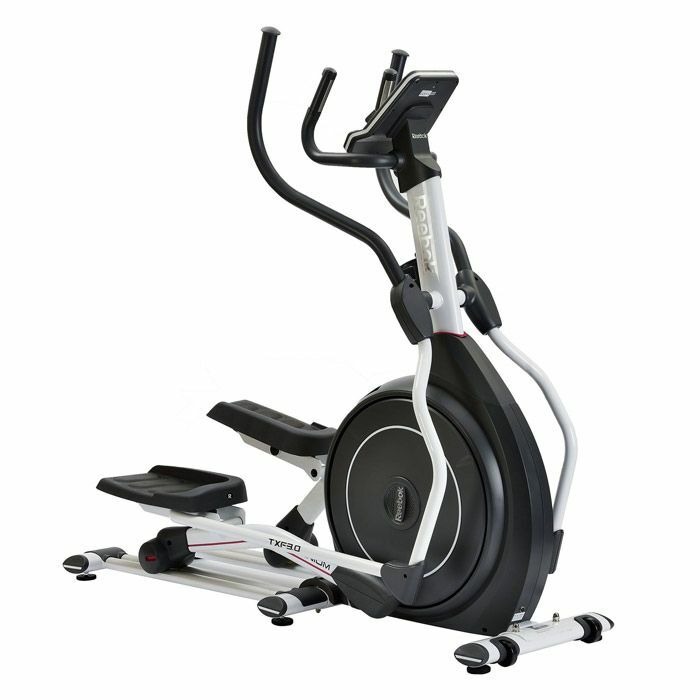 The robust 10kg flywheel has been moved to the front, which causes the users stride to peak in a smoother, more natural elliptical motion. 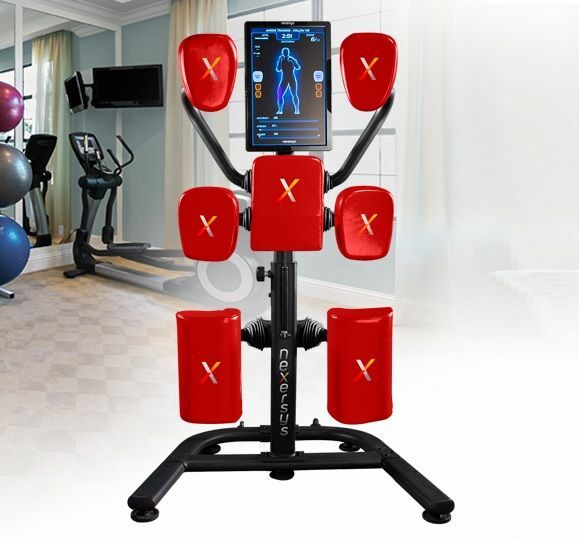 In turn the 25-400 watt, 75 levels of resistance provides the user with complete control of the intensity of their workout and feel the responsiveness of the machine with each step. The i-Drive control function provides intuitive access to the 20 console programs to vary the users workout simply and effectively while providing feedback in real-time through the upgraded 7” backlit LCD display. Fully adjustable footplates help to tailor the TX3.0 to the users requirements while the built-in dual speakers with MP3 playback make the workout even more personal as the machine works to the beat. 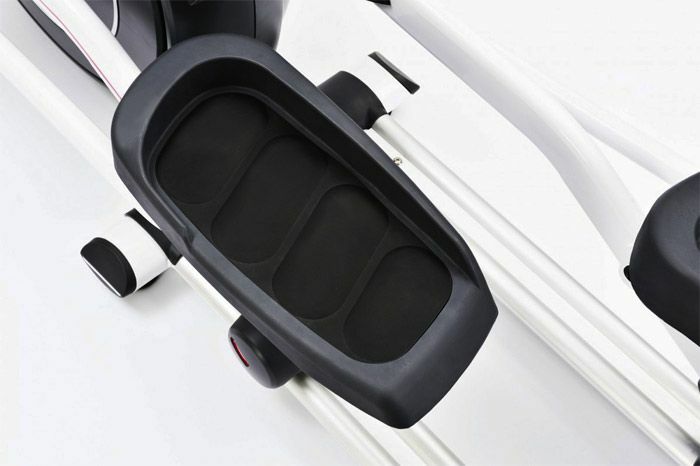 The increased robustness and stability of the TXF3.0 raises the maximum user weight to 145kg providing an even sturdier, stable exercise platform for the tallest and largest user looking for strength and reliability from their fitness equipment. 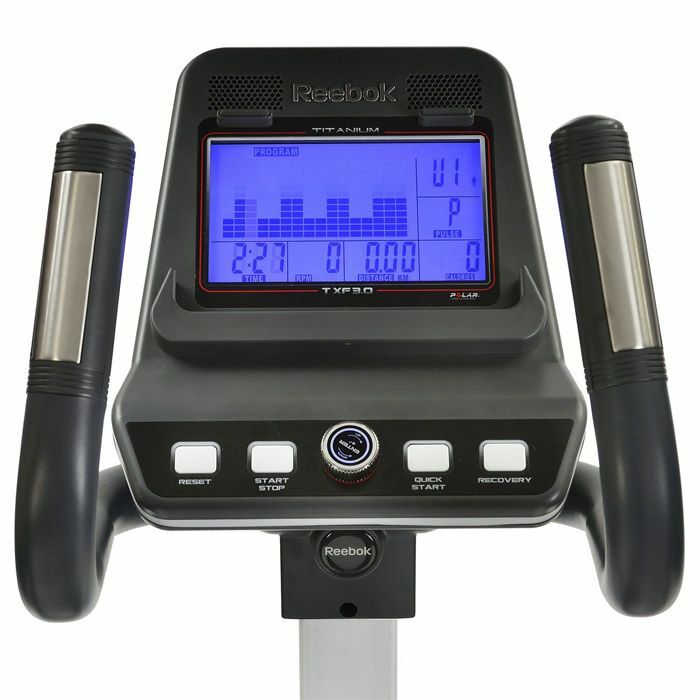 Bluetooth connectivity enables the TXF3.0 to connect to an Apple or Android mobile device and wirelessly communicate with the front drive crosstrainer. Download the Run On Earth App onto the synced device and choose a route anywhere across the globe. Run on Earth is integrated with Google Maps and lets the user set routes around the world. 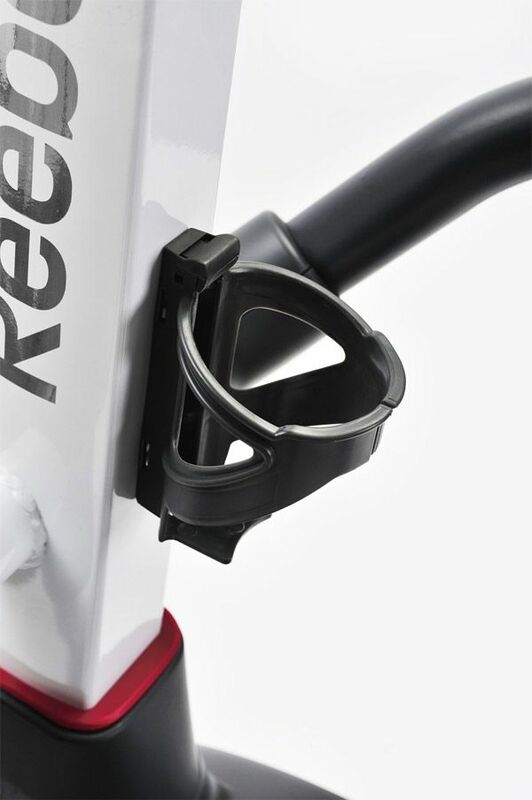 For additional motivation music can be played through the consoles dual speaker output, which connects to any MP3 system. .
With our Reebok Titanium Series TXF3.0 Cross Trainer, we are committed to quality which is why we offer a 1 year warranty on parts. 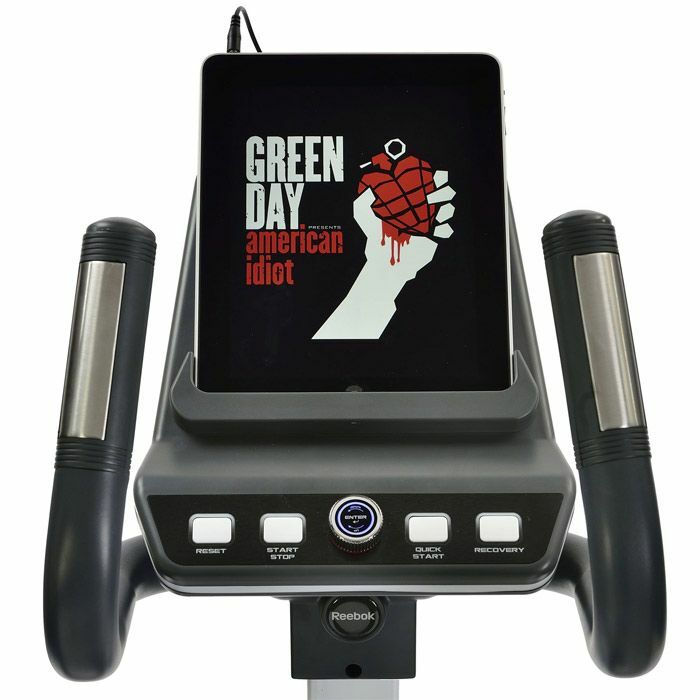 20 Console Programs include: Manual, Target Time, Target Distance, Target Calories, Watts Control, Heart Rate Control, Fitness Test, Random, Target Zone. Triple Action Fast Burner is the Fun way to burn fat fast. High Intensity Training like Triple Action Fast Burner can burn up to 9 times more calories than a normal cardio workout! With Triple Action Fast Burner your whole family can get a fast, fun, full body workout in your own home. Triple Action Fast Burner is different to any training equipment you’ve ever seen or tried. Using High Intensity Interval Training, Triple Action Fast Burner provides fast 4-minute circuits to give you a Hard Body and a Sharp Mind. 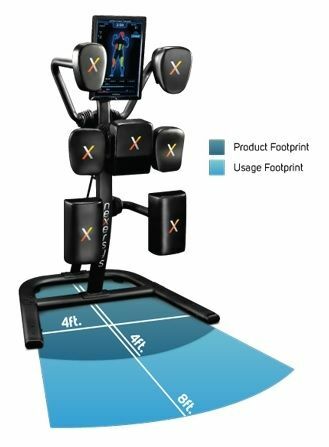 With an on-board interactive trainer to teach, challenge and track your fitness progress, Triple Action Fast Burner is the best overall fitness value on the market. Triple Action Fast Burner is an authentic Nexersys product. 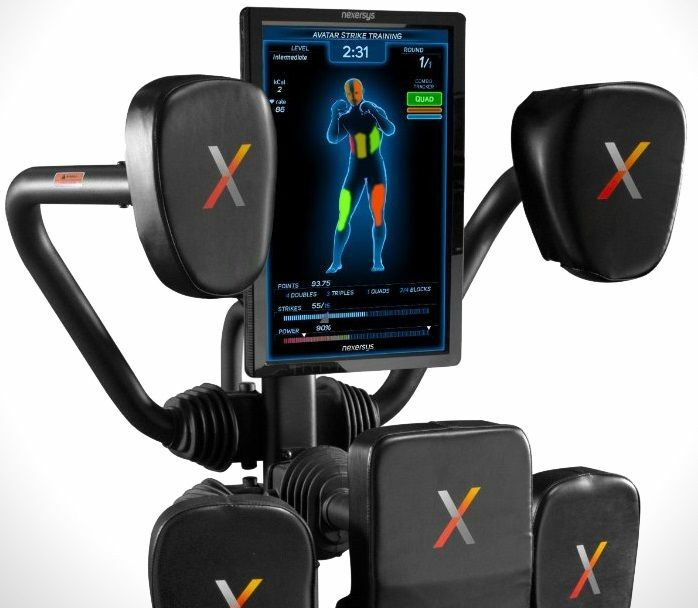 It’s the next evolution from Nexersys commercial fitness products used by the military, professional athletes and commercial gyms around the world. The NXS-H is perfect for family fitness – great for beginners, including kids and young adults, but also suitable for avid exercisers. 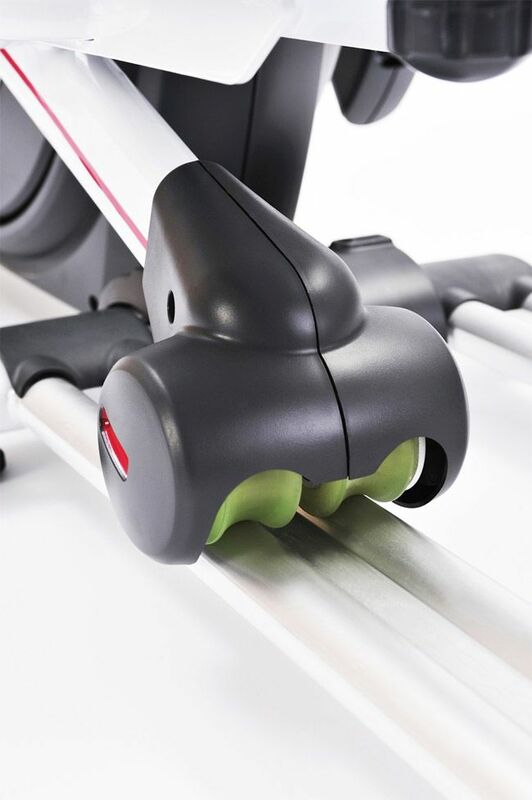 With the concept of exergaming driving our design, fitness has never been so much fun. Get ripped with progressively harder workouts or have a blast with our multiplayer gaming options. No matter your fitness level, Triple Action Fast Burner ™ helps you get the body you want. Navigation Navigate your screen using the strike pads and on-screen prompts. 7 Strike Pads Red Vinyl strike pads in 3 different zones to act as your sparring partner. 3-Axis Accelerometers Measure impact in each pad. Bilateral Arm Movement Provide realistic impact resistance from any angle. Commercial Grade Steel Frame 175 lb frame tested for up to 1,000 hours of continuous use. Adjustable for users 5’0” to 6’4”. Compact Footprint Fits in a 4'x4' area of your home. Adjustable Feet For optimal adjustment and balance. Easy Glide Wheels For relocating your Triple Action Fast Burner. Power Input 100-240V – 50/60 hz ZA. 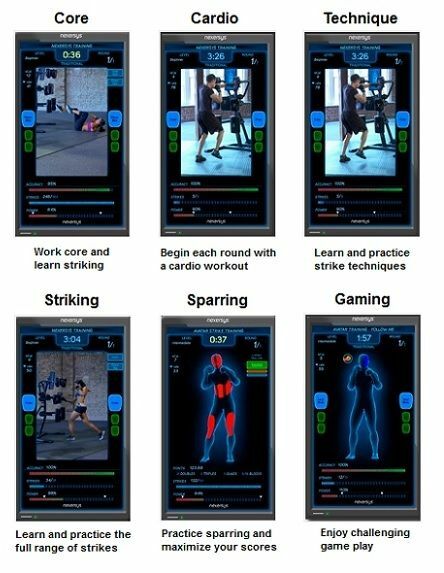 The Triple Action Fast Burner fitness unit has over 100 professional training videos and unlimited 4-minute Avatar Sparring rounds. You'll never get bored with this revolutionary interactive training experience. Rounds include Core, Cardio, Technique, Striking, Sparring and Gaming. View sample round videos below.